Give Bob Diaco some credit. The former Notre Dame defensive coordinator has quickly done great things in UConn, a program that had been gaining traction under Randy Edsall before his eventual move to Maryland years earlier. Diaco has the Huskies back in a goal after a modest 6-6 campaign, but one that included a huge victory over AAC Champ Houston. The Huskies are far from a pretty football team. They lean heavily on a smash-mouth defense that relies on Diaco's sound defensive principles. That defense allowed just 19.8 points per game on the year, which ranked in at 17th in the entire nation. UConn's defense will obviously have their hands full with Marshall, whose offense continues to roll under underrated Doc Holliday, even after the departure of record-setting QB Rakeem Cato. Though the offense has taken some serious lumps to the constant injury to stud back Devon Johnson, who has missed a huge chunk of the year. That has made Marshall pass the ball more than expected, though Chase Litton has performed very well. Though, turnovers have been a problem, understandable for a young QB. UConn has been stout against the pass this season, pretty surprising considering they did lose big name NFL prospect Byron Jones to Dallas this past spring. The question for UConn is about scoring points. They simply don't have an explosive offense, but they can move the ball effectively when needed. Back Arkeel Newsome isn't going to plow over anybody, but he is a solid workhorse who has proven credentials. Expect receiver Noel Thomas to also show up on some plays, after recording 719 yards and three scores on the year. Defensively, Marshall has been wonderful as well, ranking in at 17th in the nation in points allowed per game. They don't have any huge stars, but they are a disruptive defense that swarms opponents. Unless Connecticut can connect on some deep throws and keep this defense unbalance, they will really, really struggle to score. Hey, if you love defensive duels this one should certainly be for you. Neither team is going to light up the scoreboard, unless something crazy happens. UConn is continuing to make strides under Diaco. 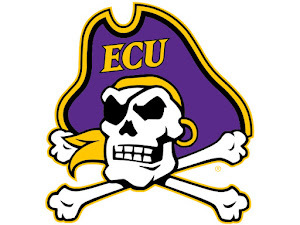 But, they just don't have the offensive personnel to win this defensive brawl. The Mark Richt era has begun in Coral Gables, as a once proud Miami program continues to desperately search for redemption after years of mediocrity. 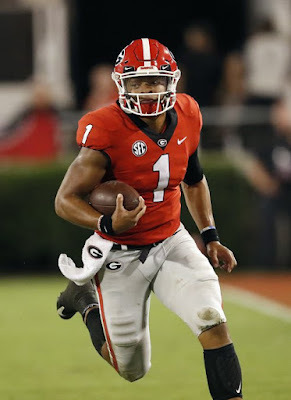 While not many should put too much stock into this game for Richt, his players will certainly be working hard to impress their head coach for 2016. The Hurricanes, who finished off a decent but still underwhelming 8-4, won't have an easy battle with Washington State, who pretty quietly won eight games after a season opening loss to FCS foe Portland State (an improvement of five games from 2014). 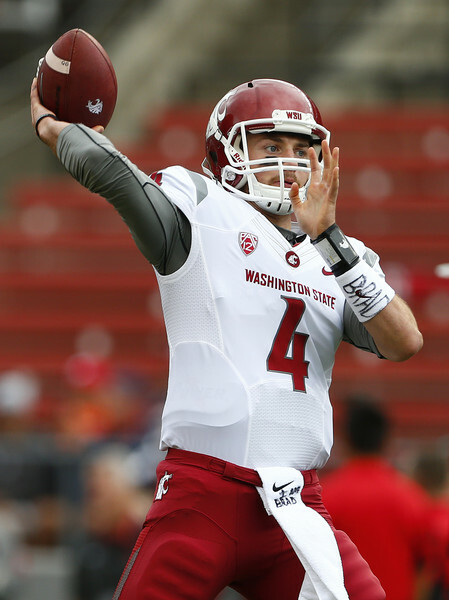 The main reason for the Cougars' success was the growth of quarterback Luke Falk, who put up insane numbers in Mike Leach's pass-happy scheme. Falk, pretty much a no name entering the year, showed incredible poise and knowledge engineering the offense, while distributing the ball to plenty of dangerous receivers. Game-changers like Gabe Marks (1,125 receiving yards), Dom Williams (997) and River Cracraft (552) all shredded defenses throughout the year, and Miami's secondary should have their hands full in this one for sure. The easy thing about stopping Wazzu's offense though, is the fact it isn't too hard to know what they are going to do. They are going to pass 50 times a game (Falk averaged just over 49 pass attempts per game) and run the ball little. Expect Richt to have some smart defensive scheme lined up in this one. For Miami, the offense has been effective for much of the season (save for maybe a 59-0 loss to Clemson). Sophomore Brad Kaaya has built impressively on a very good true freshman campaign, by eclipsing 3,000 yards. Though, Kaaya has not been a 100 percent throughout a big chunk of the second half of the year, and turnovers have also plagued him. Still, Kaaya's mind and feel for the game is impressive at such a young age. Joe Yearby adds explosiveness in the backfield, after recording 939 yards on the season. Leach has long been known as a guy that doesn't really seem to believe in defense, and this Washington State team fits the billing. Though, they have made some minimal progress from 2014, allowing just over 28 points per game. Without a completely sound defense, expect Washington State to gamble on some plays and hope to force turnovers. While this game won't get a crazy amount of attention, I think it could actually be one of the more intriguing games of the entire bowl schedule. Miami is eager to start moving forward with Richt at the helm, while Washington State hasn't won a bowl since the early 2000's. Leach's first bowl apperance with WSU the Cougars held the lead the whole game against Colorado State in 2013 before a complete fallout. I think they have improved enough to get him his first bowl win since arriving in Pullman, and finish off a very impressive 9-4. Just two years ago, Southern Miss finished 0-12. One year after a 12-2 mark and Conference USA Championship in 2012, the Golden Eagles dipped to a winless mark that led to Ellis Johnson's firing after one year. Now, Southern Miss has quietly transformed back into the perennial underrated program they once were, going 9-4 on the year and nearly claiming the C-USA title. The Golden Eagles will have to a chance to further their ascent against a Washington team that has not been that great this season. The Huskies finished off their year 6-6, a relatively uninspiring second year for former Boise State head coach Chris Petersen. Though, that was somewhat expected, considering the losses Washington was suffering through on both sides of the ball. The Huskies will still bring a couple dangerous playmakers to the equation, particularly back Myles Gaskin, who has 1,121 yards and 10 touchdowns on the campaign. They also have a fun player to watch in receiver Jaydon Mickens, who won't touch the ball a ton, but produces when he does. Defensively, Southern Miss has been pretty good on the year, but they haven't faced a team with the size and strength of Washington, it could be an interesting matchup. On offense is where the Golden Eagles win games. They are led by longtime starter Nick Mullens who exploded for 4,145 yards and 36 touchdowns on the year. He found huge success with the deep ball, and also proved to be pretty elusive in the pocket. The Huskies have suffered defensively without Danny Shelton, Shaq Thompson and more. Not only will they have to deal with Mullens and his wide variety of receivers, but a talented back in Jalen Richard, and a pretty experienced offensive line. That alone should definitely be enough to keep Southern Miss in this one, in a game in which they enter as the underdog (which happens when you are a C-USA team squaring off against a Pac-12 team). But, I wonder about the Golden Eagles talent against a team like Washington. They should be able to make this one very interesting, but the defense might not be up to the task.